Every country has some quick easy & cheap food such as burgers, sandwiches, tacos, currywursts, paninis and so on. Japan also has a wide variety of quick food, and in this post I’d like to introduce one of the most popular and quick foods which you can buy anywhere. It is called Onigiri aka rice ball. 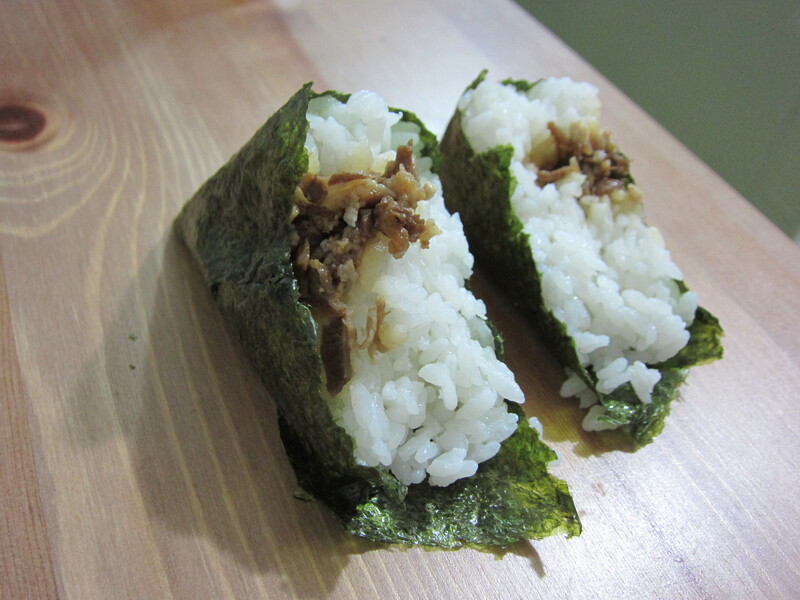 An Onigiri is a rice ball with something inside. There are many different onigiris these days, but classic fillings include umeboshi (preserved plum), salmon, cod roe, seasoned cod roe and tuna mayonnaise. The classics are the best in my opinion. However, these days Onigiri producers have gotten more creative and started selling unique Onigiris such as fried chicken, bacon & cheese, sweet soy flavored beef, fried rice, gratin and sausage. If you don’t mind paying more than 200 yen per Onigiri, you can eat fancy salmon roe Onigiri. You might wonder what the black paper wrapped around the rice ball is. 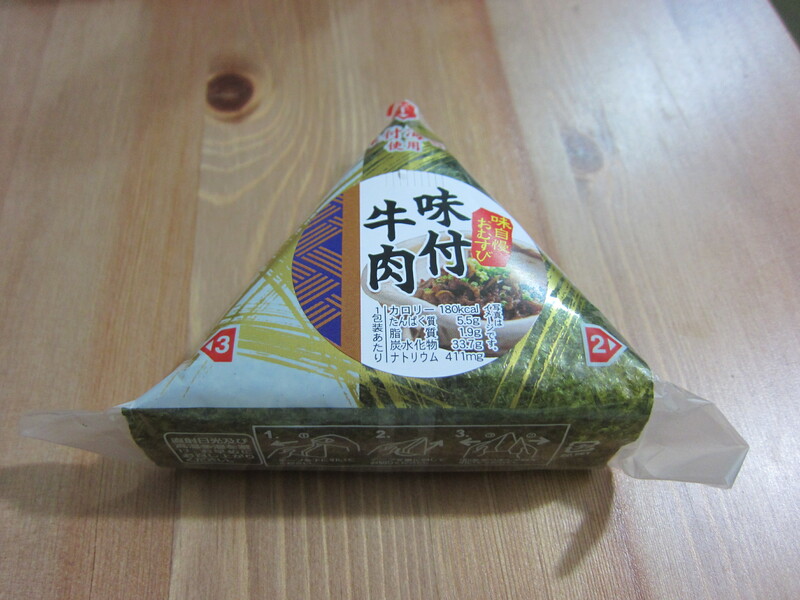 It is a dried seaweed called Nori, which adds a crunchy touch and roasted flavor. You can get Onigiris at every super market and convenience store. They cost 120 yen to 200 yen at convenience stores and 80 yen to 150 yen at super markets. If you prefer home made style Onigiris, you can get one at a placed called Suvaco on the second floor in the JR Kyoto Station.